In 2018, the death toll for militants and security forces in Kashmir touched the highest point in a decade, according to official figures, with more than 324 killed. Human rights groups put the civilian fatalities at over 100. Almost no experts believe the situation will improve in the short term. As security forces carry out operations, they are frequently confronted by crowds of people who, rather than scattering, try to block their way. 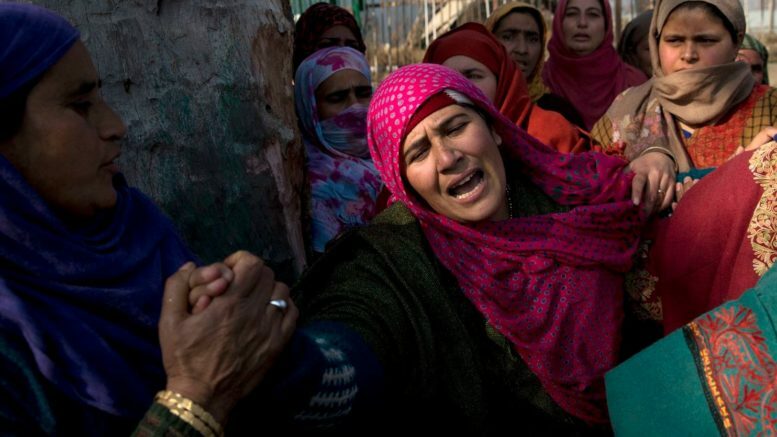 There is now a “generation of people whose only encounter with India seems to be through the prism of the security forces,” said Amitabh Mattoo, a professor of international relations at Jawaharlal Nehru University and a longtime observer of the Kashmir conflict. Kashmir is divided by a heavily militarized frontier. The insurgency in Jammu and Kashmir began in 1989 and has ebbed and flowed in the intervening years. Experts point to the 2016 killing of Burhan Wani, a 22-year-old militant commander who built a devoted following on social media, as a crucial turning point, reported Washington Post. In the weeks after Wani’s death, huge protests broke out across Kashmir. In response, India used “excessive force that led to unlawful killings and a very high number of injuries,” according to a report released in June by the Office of the U.N. High Commissioner for Human Rights. The report also cited India’s use of “inherently inaccurate and indiscriminate” pellet-firing shotguns as a means of crowd dispersal, which left hundreds blinded. India rejected the report’s findings. Security officials in Kashmir say the increasing number of militants being killed is a sign of success. “We have launched more anti-militancy operations this year,” said Ravideep Sahai, a senior officer in the Central Reserve Police Force based in Srinagar. That also increases the risk to security personnel, he said: More operations lead to greater chances of fatal encounters. Be the first to comment on "2018 is the deadliest year in a decade in Kashmir"